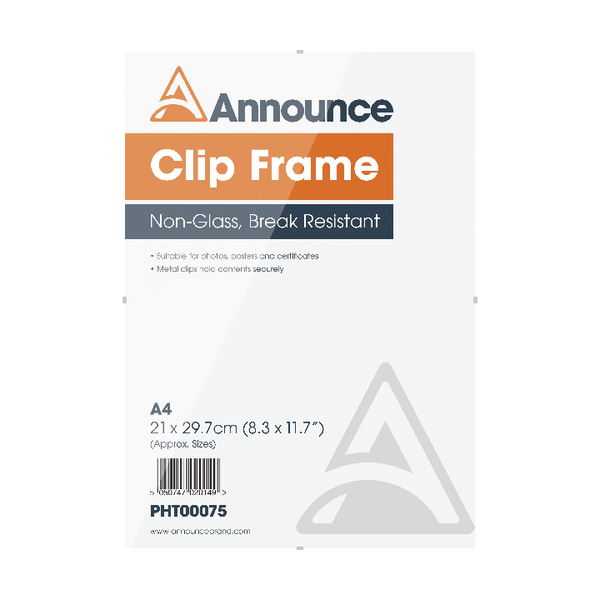 Announce A4 Clip Frame PHT00075 – PHT00075 – OfficeYoo! Made with a break resistant front, this non-glass Announce A4 Clip Frame is ideal for displaying photos, posters and certificates. The simple construction provides a sheet of styrene at the front and hardboard at the back, whilst the metal clips hold the contents in place safely and securely and helps prevent scratching on the surface.